During his many years of therapy work Enoch was a master in visiting nursing homes, hospitals and hospices. He had the strongest bond and trust in his foster owner, Ann Slater, that he would happily enter any environment to offer happiness and love to those around him. Now retired, he still receives regular visits from school children to fulfil his desire to please. Alongside help from The Donkey Sanctuary, Ann has been searching for the next special therapy donkey to fill Enoch’s hooves. Initially she was looking for a small gelding, but with an open mind she went to see a 12.1hh mare and instantly knew she was perfect. Her calm nature and love of people make her ideal for the therapy role. Over the coming year Ann will work with Sky to help her settle in and build a trusting relationship. 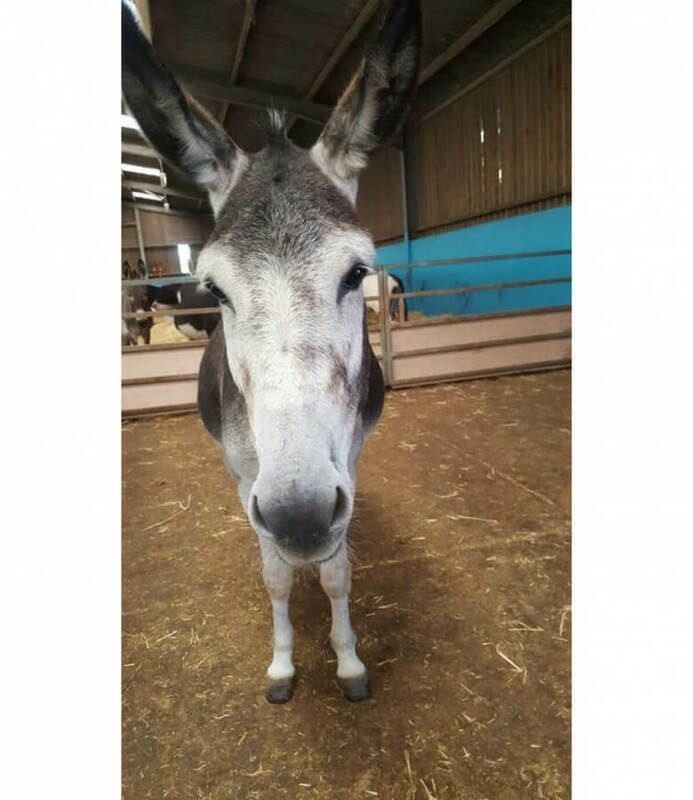 She will experience new environments and meet lots of people until she is ready to make those special visits as a fully-fledged therapy donkey. Said Ann: “Welcome Sky, we totally adore you and are so excited to begin our journey together”. We can’t wait to hear more news from Ann and find out how Sky is progressing in her new role! Sky, Enoch and all the other donkeys at Bryndafydd Animal Assisted Therapy are fed on Mollichaff Donkey which they absolutely love!